Size humor. It feels like the lowest hanging fruit in cinema today, and I am so damn sick of it. 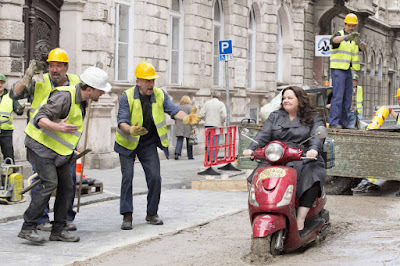 I think it's awesome that people like Melissa McCarthy and Kevin James and whoever else are able to make fun of themselves and their struggles with weight, I honestly do. What I take issue with is the screenplay including such lazy writing in the first place. It doesn't even take seeing the actual film to see it in action either, every damn trailer with these actors includes a scene of McCarthy struggling to climb over a counter or falling off of something because she is big, and I cringe every single time. Years ago I watched literally every single episode of the show Gilmore Girls with my wife, a series featuring McCarthy and over the course of seven seasons I don't recall the writing ever stooping to such a disappointing level and she showed she had charisma on camera, excellent comic delivery and the ability to demonstrate authentic range as a performer...so why now has it been boiled down to the ha ha you are funny because you are fat niche? Isn't she capable of more than audiences giggling over her struggles to do things thin people are capable of? This isn't a direct correlation to the her new film Spy, a movie that utilizes such humor but at least sparingly rather than making it the focal point of the entire screenplay. I just needed to vent before I moved on to my problem with this film: it just isn't funny enough. It's not terrible, I had a halfway decent time screening it and I laughed during a handful of occasions, but overall I found it to be a very underwhelming experience. The funny just isn't funny enough. The action isn't action-y enough. The drama isn't drama-y enough. The entire picture sort of felt like I was eating a lukewarm TV dinner when I was really, really hungry. Sure, it's fine and it does it's job and I am full-ish at the end, but I also could have used a lot better and a lot more. In my recent review of What We Do in the Shadows, a pretty fantastic comedy, I mentioned my struggle with finding new comedic efforts I enjoy, and Spy reflects this issue perfectly. It seems like most people are really digging it, and that's great, but I am left so cold and I feel like I am missing out on the fun. Scenes clearly meant to elicit laughter leave me staring straight ahead. Even what did work for me won't really stick in the long run, I can guarantee it. Just another run of the mill mediocre movie that I will watch a moment of briefly years from now when it is on cable before flipping to something else. I give it the same rating. 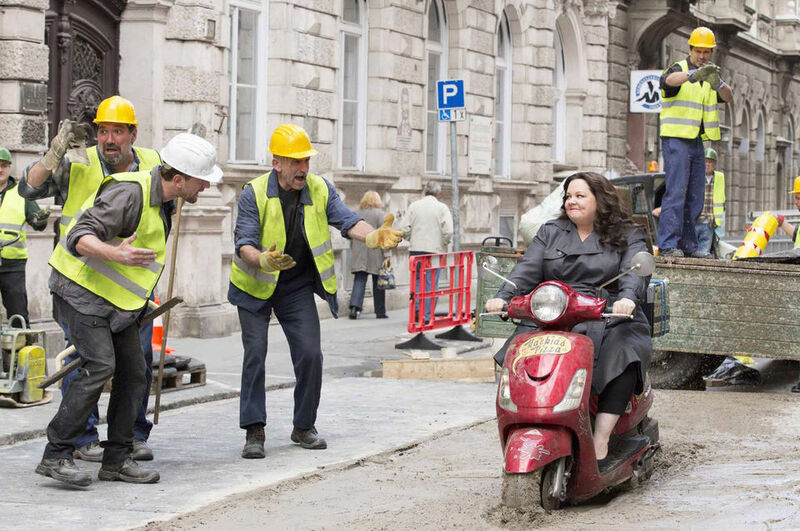 I understand it is a spoof of spy films, but does it need to be so poorly overacted? I chuckled a few times, but completely forgettable. I really liked Jason Statham, he was sooo over the top that it was ridiculous. And man, I'm not one to see a Melissa McCathy film, but the jokes against her were borderline insulting most of the time. I actually felt uncomfortable through most of the film. Statham was good Cody, it was nice to see him go outside his bland action comfort zone and entertain in a comedic sense. 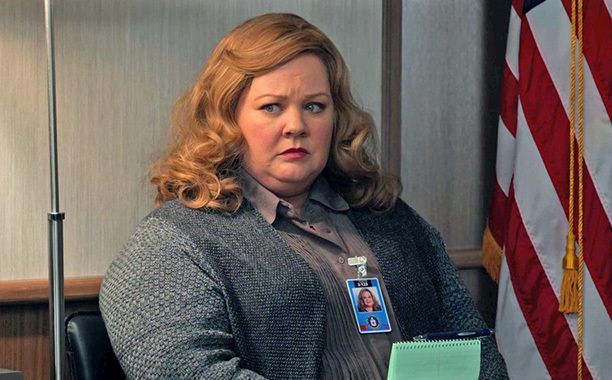 I just wish McCarthy would be treated like a normal character rather than always the fat person in these scripts written for her. I know she has more talent than that, I have seen it. Too much low hanging fruit in comedy writing these days.